It's a product that costs nothing, is up against entrenched competitors, and exists in a category that enterprises have in the past been wary of. All in all, marketing open source software to other marketers was never going to be an easy job. So you might forgive Tom Wentworth if he was a little wary of taking up the role of chief marketing officer at Acquia. But the CMO says that when he received a message from a recruiter asking if he was interested in the position, he jumped at the chance. "I couldn't have dialled back the number faster when I saw him asking about Acquia," Wentworth says. 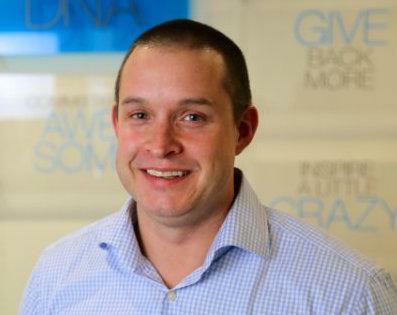 Wentworth took up the role at Boston-based Acquia 17 months ago. The company provides software and services based on Drupal: A well-established, modular open source content management system. Although it is Wentworth's first experience at an open source company, he has held marketing roles in other content management software vendors for about 15 years. Before Acquia, he was CMO at Ektron, and prior to that he was Web solutions evangelist at Interwoven, which was acquired in 2009 by Autonomy — which itself was snapped up by HP in 2011 (a somewhat fraught acquisition ). Wentworth joined Acquia in December 2012. The decision was a "if you can't beat them, join them", he says. "As somebody's who's been in the market for so long, I saw the clear shift to open source and I saw the disruption Drupal was having in the market and really wanted to be a part of it. "When I look at the future of integrated digital experiences and how I see CMOs are changing how they adapt digital technology, I think Drupal is so strongly suited for that and I had to find a way to get here." Because Drupal is open source, it can be freely downloaded and distributed by third parties, and end users are free to inspect, and modify, the source code that powers it. Acquia was founded by the creator of Drupal, Dries Buytaert. Drupal powers more than a million websites, according to an announcement in March by the Drupal Association, the non-profit organisation providing stewardship for the project. That figure is based on a component in the CMS that polls the Drupal.org website for updates, and so is likely conservative. Some 12 per cent of the world's top 100,000 websites have also been built with Drupal, according to figures from Builtwith Research. Those sites include everything from the Warner Music Group, which uses it to build artists' sites, through to the White House. Acquia was founded in late 2007, about six-and-a-half years after the initial release of Drupal by Buytaert. Like Drupal, the company has experienced explosive growth; with revenue rising over 3100 per cent in the last three years, according to the company. But Wentworth still finds himself combatting negative attitudes towards open source software. "There's still a lot of legacy 'FUD' — fear, uncertainty and doubt — about open source, and much of it is perpetuated by the propriety vendors who are trying to hold onto their markets," he says. "It's around some common themes: Open source doesn't scale; open source isn't secure; and open source doesn't have all the features that proprietary applications have." Wentworth says a lot of his time is spent trying to counter these perceptions. "Open source is every bit as secure, it scales every bit as much and, frankly, open source innovates faster than proprietary software," he says. One drawcard for Drupal is cost — although Acquia sells services around Drupal, as open source software the CMS can be freely downloaded and deployed without worrying about licensing fees. However, Wentworth says the speed of innovation for open source software is a key competitive advantage for Drupal compared to proprietary software. Because Drupal is open source, individuals, businesses and non-profit organisations can contribute modifications to the code base. The size of the Drupal community is often a drawcard for organisations: Flight Centre, for example, cites Drupal's community as a drawcard for adopting the platform. Today there are more than 26,000 contributed Drupal modules that add new features to the CMS, and more than 32,000 developers registered at Drupal.org. The CMS has a modular structure and substantial points of integration with other software packages. Wentworth contrasts this with attempts to push proprietary end-to-end marketing suites that have been built by a string of acquisitions, which he argues ends up reducing the speed of innovation. Wentworth claims there is a drive towards "best of need" marketing solutions. "The sort of drive for an end-to-end suite — it looks really good in a PowerPoint slide, but marketing moves so fast," the CMO says. Content, community and commerce are what Wentworth, and Drupal creator Buytaert, describe as the 'three Cs' delivered by Drupal. Wentworth gives the example of watch manufacturer Timex. "Timex had effectively three disparate experiences and technologies to solve the problems of the three Cs," he explains. "There was one brand experience on timex.com — the website was full of product content and imagery and the romance language around their products. There was a separate social layer to handle ratings and reviews and the sort of authentic customer testimonials that you can incorporate onto a product site. "And then lastly, Timex had an entirely separate shopping experience with different product content, different product imagery, different navigation." Timex also had separate technology stacks for its website, social engagement, and e-commerce. The end result was a "fragmented experience" for customers, Wentworth says. "The customer didn't feel like they were doing business with Timex; they felt like they were doing business with three separate companies. "Social is natively weaved into that experience, so it's a much different approach. It's that idea that your customers see all of your digital touch points the same; they don't want to know how to operate each of the silos — your commerce silo, your social silo and your content silo." Historically, one challenge for open source software has been that even when it has been readily accepted by developers, it has not always been easy to be on the c-suite's radar. This has changed to an extent with open source software, and projects ranging from Linux to Hadoop are now playing a vital role in many enterprises. However, it's still not uncommon for open source to find its way into a business via development teams. "There are two things happening," Wentworth argues. "One is that developers are starting to wield a lot of power in organisations: There's clearly a big shift towards the transformation of technology, and developers even at lower levels in the organisation now have a lot more responsibility than they've ever had before. "We want to still empower and enable developers and we want to be the favourite Web platform for developers, and Drupal developers specifically, so we're always going to be really focused on making sure Drupal's being adopted by developers." CDOs "tend to appreciate Drupal because it sits at the intersection of open source, which is really about cost reduction and innovation, and its ability to influence business outcomes, like more revenue," Wentworth says. The other type of executive is the CMO. “That's frankly because the chief marketing officers now have also been forced to become more competent around technology and digital," Wentworth says. Secondly, when an organisation standardises on Drupal, Wentworth wants them to standardise on Acquia products, specifically Acquia Cloud. "Third: We want to launch a whole bunch of new products that solve specific line of business problems as SaaS applications,” he says. “We want to launch more SaaS applications that help make Drupal more appealing to that marketing/CDO audience."